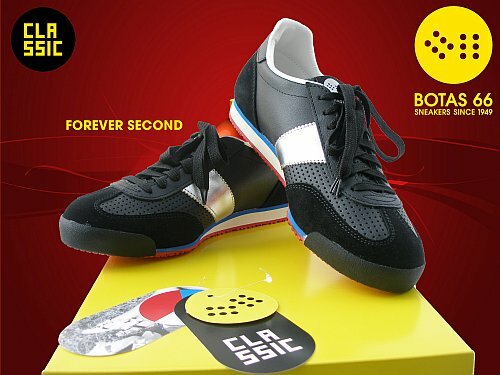 FOREVER SECOND model is designed for those who are forever in the second place and never get what they want. Similarly everyone almost felt sometimes in life. Therefore, one should enjoy at every slightest success. Second Forever model is a part of the Classic product line, which was inspired by the iconic model Botas from 1966. Universal black shoe refreshes the strip of a silver leather, which refers to the infamous silver medal. Red and blue details on the white sole reminiscent Czech tricolor flies over the winners' podium, thus the curse of the second position. Motto: Being the second? Never mind! Not having Forever Second model? Yeah, it hurts!